Following on from his highly-acclaimed reunion concerts in the USA with Billy Joel’s original touring band and now in its fifth, hugely-successful year, Elio Pace delivers this sensational and critically-acclaimed tour celebrating the phenomenal music of Billy Joel. This powerhouse of a show, features over 30 Joel classics including the massive hits, Uptown Girl, Just The Way You Are and My Life as well as fan favourites such as Scenes From An Italian Restaurant, Goodnight Saigon and Piano Man. 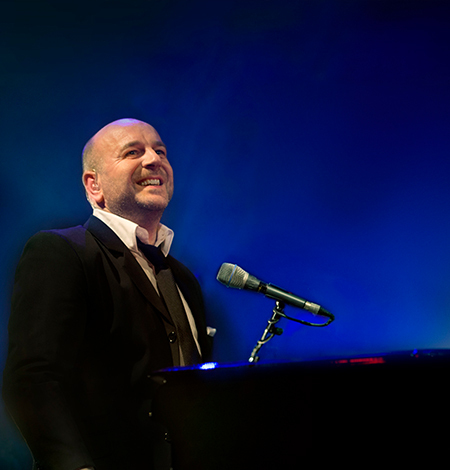 Don't miss this wonderful opportunity to experience The Billy Joel Songbook in this electrifying concert performed by the dynamic singer/songwriter and pianoplayer, Elio Pace and his magnificent 6-piece band.